Follow this country road until you reach the village centre. Turn left following the sign towards the village hall. Follow the country road through the village until you reach the village hall. When you reach the village hall, take the right fork keeping the village hall on your left. 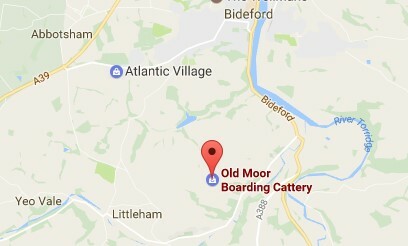 Old Moor Boarding Cattery is signed-posted on your right.